Is Astarte also Ashtaroth (assh' tuhrahth)? Astarte (Greek Ἀστάρτη, "Astártē") is the Greek name of a goddess known throughout the Eastern Mediterranean from the Bronze Age to Classical times. Originally the deified evening star. Astarte appears in Ugaritic texts under the name ‘Athtart', but is little mentioned in those texts. ‘Athtart and ‘Anat together hold back Ba‘al from attacking the other deities. Astarte also asks Ba‘al to "scatter" Yamm "Sea" after Ba‘al's victory. ‘Athtart is called the "Face of Ba‘al". 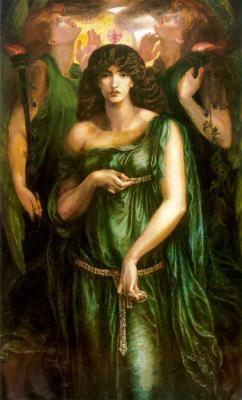 Ashtoreth is mentioned in the Hebrew Bible as a foreign, non-Judahite goddess, the principal goddess of the Sidonians or Phoenicians, representing the productive power of nature. It is generally accepted that the Masoretic "vowel pointing" adopted ca. 135 AD, indicating the pronunciation ʻAštōreṯ ("Ashtoreth," "Ashtoret") is a deliberate distortion of "Ashtart", and that this is probably because the two last syllables have been pointed with the vowels belonging to bōšeṯ, ("bosheth," abomination), to indicate that that word should be substituted when reading. The plural form is pointed ʻAštārōṯ ("Ashtaroth"). Why is the Star of David on top of Ashtaroth's head? In the twelve century an Ashkenazic Jew Menahem ben Duji, who thought he was the Messiah, used the magical symbol. The history of the contemporary Star of David begins in Prague. During the last part of the Thirty Years War, the Swedish army besieged Prague. The town was mostly defended by the citizens' militia, including a Jewish unit. When the Swedes did not succeed in taking the city, German Emperor Ferdinand III wished to assign honor flags and other decorations to all the various units of the citizens' militia. This included the Jews. The Jewish community liked this symbol and it spread to those towns that had ties with Prague, and began to be used in synagogues and during festive occasions. The new symbol became so popular that rumors circulated that it had magical powers. Stories of the power of the Star of David spread as far as Yemen where it was even said that the ancestor of the Rothschild family had succeeded in exorcizing the devil from the emperor's daughter by the power of the Star of David. a joy of heaven and earth which nourished their communion. The pulse of hearts to the sphere's dominant tune. As one enters this temple he sees on the wall at the east side an old Phoenician picture, carved in the rock depicting Ishtar, goddess of love and beauty, sitting on her throne, surrounded by seven unclothed virgins standing in different posses. The first one carries a torch; the second, a guitar; the third, a censer; the fourth a jug of wine; the fifth, a branch of roses; the sixth, a wreath of laurel; the seventh, a bow and arrow; and all of them look at Ishtar reverently. In the west side wall there are two round transits through which the sun's rays enter the temple and strike the pictures and make them look as if they were painted with gold water colour. In the middle of the temple there is a square marble with old paintings on its sides, some of which can hardly be seen under the petrified lumps of blood which show that the ancient people offered sacrifices on this rock and poured perfume, wine, and oil upon it. *Salloum Mokarzel (1881-1952) was publisher of the classic journal "The Syrian World" from 1926 to 1932. "The Syrian World" was a monthly English language journal which included contributions from Kahlil Gibran, Philip Hitti, Mikhail Naimy, Ameen Rihani and many others. **Waterfield, Robin, "Prophet: The Life and Times of Kahlil Gibran", pg. 280. The Age of Aries was the age of the Father. The Age of Pisces the age of the Son. The Age of Aquarius the age of the Holy Spirit. David Alroy (Menahem ben Duji) or Alrui, who was born in Kurdistan (Amadiya, Iraq), appeared in Persia about 1160 declaring himself a Messiah. Taking advantage of his personal popularity, the disturbed and weakened condition of the caliphate, and the discontent of the Jews, who were burdened with a heavy poll tax, he set out upon his political schemes, asserting that he had been sent by God to free the Jews from the Moslem yoke and to lead them back to Jerusalem. For this purpose he summoned the warlike Jews of the neighbouring district of Azerbaijan and his coreligionists of Mosul and Baghdad to come armed to his aid and to assist in the capture of Amadia. From this point his career is enveloped in legend. His movement failed, and he is said to have been assassinated, while asleep, by his own father-in-law. A heavy fine was exacted from the Jews for this uprising. After his death Alroy had many followers in Khof, Salmas, Tauris, and Maragha, and these formed a sect called the Menahemists, from the Messianic name "Menahem," assumed by their founder. This man, named David Alrui (Alroy) or IbnAlruchi (Arruchi), achived considerable notoriety in his time. This you man, an inhabitant of Amadia, of handsome appearance, clear mind and high courage, had attained deep knowledge of the Bible and Talmud, as well as of Arabic literature. On his return to Amadia, with appears to have been his birthplace, the Jews were not the only persons who were amazed at his vast acquirements, but others also, among whom was the commander of the town, named Zain-Eddin. At this time violent tumults arose in consequence of the crusades, and the weakness of the Caliphate and made the whole of the country as fas as Asia Minor a veritable pandemonium. The government was divided among weak Caliph, his vizirs and generals, the Seljuk Sultan, and the Emirs, every one of whom played a distinct part, and sought only conquest and increase of power; and subordinate persons like Nureddin and Salidin obtained mighty conquests. All these circumstances combined in encouraging David Alrui to play a political part. He wanted, however, to gain as confederates his countrymen and co-religionists, many of whom were efficient warriors. This he could only accomplish if he were able to awaken their national sentiment. David Alrui, or as he was sometimes call, Menahem ben Solomon, accordingly issued a spirited appeal to the Jews of Asia, saying that he was appointed by God to deliver them back from the yoke of the Mahometans, and to bring them back from Jerusalem. For this purpose they were to assist in waging war against the nations. The first place to which David Alrui turned his eyes was the strong castle of Amadia, which he thought would serve as an execellent base of operations for enterprises. To get possession of it, he wrote to the Jews of Adher-Baijan, Mosul, and Bagdad, to come in great numbers to Amadia, and bring swords and other weapons under their cloaks. In response to this summons, many Jews who believed Alrui to be the promised Messiah, me in the town at an appointed time, with sharpened weapons concealed about their person, and the commandant at first entertained no suspicion, as he thought that this great crowd was attracted to the town by Alrui's fame as a scholar. At this point history abandons us, we can only have recourse to legend. Alroy’s father claimed he was Elijah and that his son was the Messiah. Although his actual name was Menahem, young Alroy took the name David, the appropriate name for a king of the Jews, and promised to lead his followers to Jerusalem where he would be their king. Apparently learned in Jewish mysticism, Alroy managed to convince his followers that he could perform supernatural acts. While he scored some victories before he was murdered, probably by his father-in-law, his successes were hardly of the magnitude of his victories in Disraeli’s romance. Originally, Kabbalistic knowledge was believed to be an integral part of the Judaism's oral law (see also Aggadah), given by God to Moses on Mount Sinai around 13th century BCE, though there is a view that Kabbalah began with Adam. During the 5th century BCE, when the works of the Tanakh were edited and canonized and the secret knowledge encrypted within the various writings and scrolls ("Megilot"), the knowledge was referred to as Ma'aseh Merkavah (Hebrew: מעשה מרכבה‎) and Ma'aseh B'reshit (Hebrew: מעשה בראשית‎), respectively "the act of the Chariot" and "the act of Creation". Merkavah mysticism alluded to the encrypted knowledge within the book of the prophet Ezekiel describing his vision of the "Divine Chariot". B'reshit mysticism referred to the first chapter of Genesis (Hebrew: בראשית‎) in the Torah that is believed to contain secrets of the creation of the universe and forces of nature. These terms are also mentioned in the second chapter of the Talmudic tractate Haggigah. Several movements in Jewish mysticism, including the Ma’asei Merkavah of the late Hellenistic period following the destruction of the Second Temple in 70 CE, and later, students of the Kabbalah, have focused on these passages from Ezekiel, seeking underlying meaning and the secrets of Creation in what they argued was the metaphoric language of the verses. 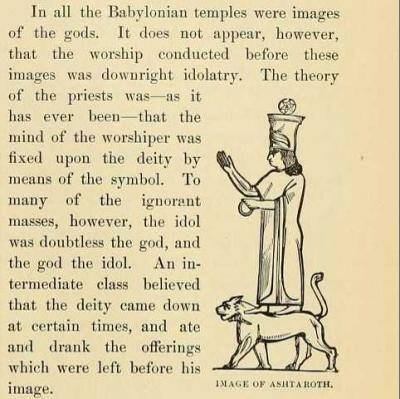 Due to the concern of some Torah scholars that misunderstanding these passages as literal descriptions of God's image might lead to blasphemy and/or idolatry, there was great opposition to studying this topic without the proper initiation. Jewish biblical commentaries emphasize that the imagery of the Merkaba is not meant to be taken literally; rather the chariot and its accompanying angels are analogies for the various ways that God reveals Himself in this world. Hasidic philosophy and Kabbalah discuss at length what each aspect of this vision represents in this world, and how the vision does not imply that God is made up of these forms. 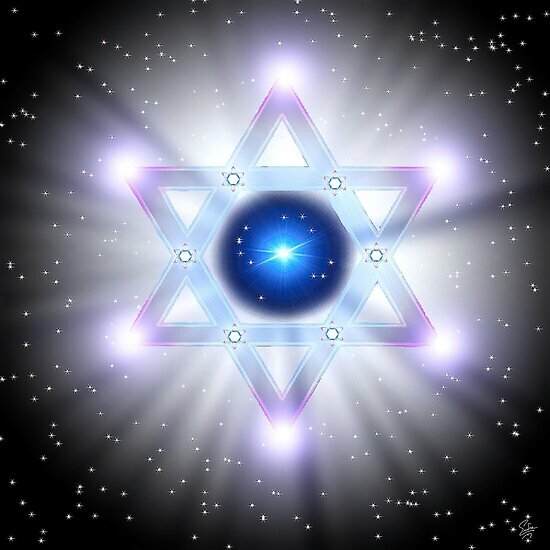 Jews customarily read the Biblical passages concerning the Merkaba in their synagogues every year on the holiday of Shavuot, and the Merkabah is also referenced in several places in traditional Jewish liturgy. The ascent texts are extant in four principal works, all redacted well after the third but certainly before the ninth century CE. They are: 1) Hekhalot Zutartey ("The Lesser Palaces"), which details an ascent of Rabbi Akiva; 2) Hekhalot Rabbati ("The Greater Palaces"), which details an ascent of Rabbi Ishmael; 3) Ma'aseh Merkabah ("Account of the Chariot"), a collection of hymns recited by the "descenders" and heard during their ascent; and 4) Sepher Hekhalot ("Book of Palaces," also known as 3 Enoch), which recounts an ascent and divine transformation of the biblical figure Enoch into the archangel Metatron, as related by Rabbi Ishmael. A fifth work provides a detailed description of the Creator as seen by the "descenders" at the climax of their ascent. This work, preserved in various forms, is called Shi'ur Qomah ("Measurement of the Body"), and is rooted in a mystical exegesis of the Song of Songs, a book reputedly venerated by Rabbi Akiva. The literal message of the work was repulsive to those who maintained God's incorporeality; Maimonides (d. 1204) wrote that the book should be erased and all mention of its existence deleted. While throughout the era of merkabah mysticism the problem of creation was not of paramount importance, the treatise Sefer Yetzirah ("Book of Creation") represents an attempted cosmogony from within a merkabah milieu. This text was probably composed during the seventh century, and evidence suggests Neoplatonic, Pythagoric, and Stoic influences. It features a linguistic theory of creation in which God creates the universe by combining the 22 letters of the Hebrew alphabet, along with emanations represented by the ten numerals, or sefirot. The Shield of David (Magen David), the Star of David, and Solomon's Seal, the hexagram is absent from Egyptian temple decoration, but prominently featured in the Indian and Far Eastern symbolism of the geometric diagrams known as yantras and mandalas. The hexagram is the symbol of creation. The descending triangle is defined as the Mem and of the ascending triangle as the Shin, the water triangle of the Mem being associated with the decent of the spirit, and being a clear yonic symbol of the feminine, and the fire triangle of the Shin being associated with the ascent of man, and in its upright form also serving as phallic symbol. 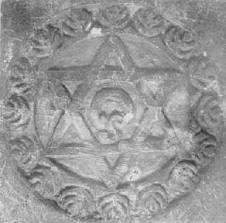 Most modern historians have concluded that the hexagram was passed from the Arabian mystics to Spanish Kabbalists to serve as protection from demons. Maria the Jewess (or Maria Prophetissima, Maria Prophetissa, Mary Prophetissa, Miriam the Prophetess) is estimated to have lived anywhere between the first and third centuries AD. She is attributed with the invention of several chemical apparatus and is considered to be the first non fictitious alchemist in the Western world. No tangible details exist of the time or place of her life. She is mentioned by early alchemists always as an authority and with uttermost respect. The most concrete mention of Maria the Jewess in the context of alchemy is by Zosimos of Panopolis, who wrote in the 4th century the oldest alchemy books known. Her name survives in the invention of the water-bath or baño maría, extensively used in chemical processes in which gentle heat is necessary. She is said to have discovered hydrochloric acid and perfected the 3-armed distillation chamber, or still. In her writings, she recommends that the copper or bronze used to create the tubes be the thickness of a frying-pan, and the joint between these tubes and the still-head be sealed with flour-paste. Also attributed to her are the invention of the alchemical apparatuses known as the kerotakis and the tribikos. Psychologist Carl Jung used this as a metaphor for the process of wholeness and individuation.
" Join the male and the female, and you will find what is sought. " " One becomes two, two becomes three, and out of the third comes the one as the fourth. " "The first non fictitious alchemists of the western world lived, as far as can be ascertained, Hellenistic Egypt. An the earliest among them was Maria Heraea, Maria the Hebrew, or Maria the Jewess, for whom our chief source is Zosimus the Panoplitan." Zosimus is the first Greek alchemical author whose actual writings have survived. He lived in Hellenistic Egypt, about 300 A.D. we can place Maria in the 3rd century. Transform nature, and make the spirit which is hidden inside the body come out. Destroy the body, and make it become water, and extract that which is in it. The 'water' which I have mentioned is an angel, and descents from the sky, and the earth accepts it on account of its [the earth's] moistness. The water of the sky is held by the water of the earth. "[The water] descends from the sky," she meant by this the child which they say will be born for them in the air, while conception had taken place in the lower [region]; this being [through] the higher celestial strength which the water has gained by its absorption of the air. 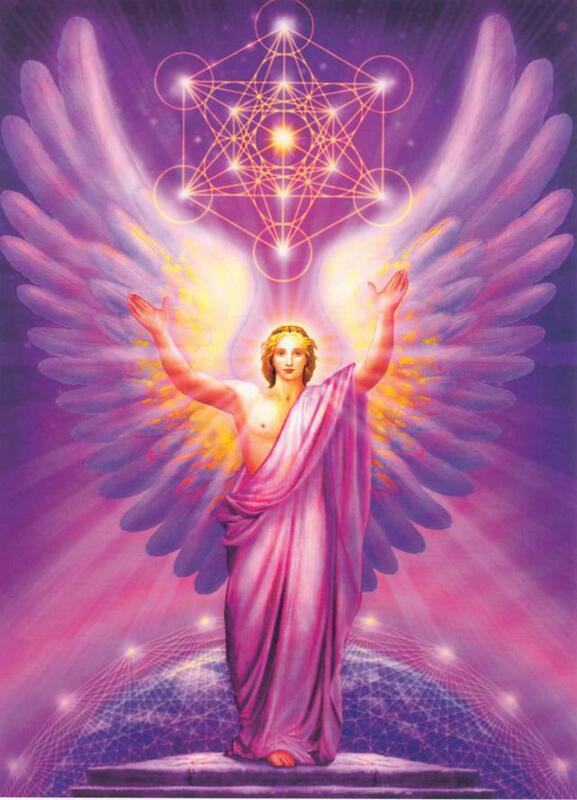 Metatron (Hebrew מטטרון) or Mattatron (a differentiation of Metatron) is the name of an angel in Judaism and some branches of Christian mythology. There are no references to him in the Jewish Tanakh or Christian Scriptures (New and Old Testament). Although he is mentioned in a few brief passages in the Talmud, Metatron appears primarily in medieval Jewish mystical texts and other post-scriptural esoteric and occult sources. Metatron word from the root meta-(inferior), and thrones (Throne), which represents the "closest to the throne who," meaning, because of his position, the "agent of God," said, is "King of Angels." In Rabbinic tradition, he is the highest of the angels and serves as the celestial scribe. Democritus was born in the city of Abdera in Thrace, an Ionian colony of Teos, although some called him a Milesian. He was born in the 80th Olympiad (460–457 BC) according to Apollodorus, and although Thrasyllus placed his birth in 470 BC, the later date is probably more likely. John Burnet has argued that the date of 460 is "too early", since according to Diogenes Laërtius ix.41, Democritus said that he was a "young man (neos)" during Anaxagoras' old age (circa 440–428). It was said that Democritus' father was so wealthy that he received Xerxes on his march through Abdera. Democritus spent the inheritance which his father left him on travels into distant countries, to satisfy his thirst for knowledge. He traveled to Asia, and was even said to have reached India and Ethiopia. We know that he wrote on Babylon and Meroe; he must also have visited Egypt, and Diodorus Siculus states that he lived there for five years. He himself declared that among his contemporaries none had made greater journeys, seen more countries, and met more scholars than himself. He particularly mentions the Egyptian mathematicians, whose knowledge he praises. Theophrastus, too, spoke of him as a man who had seen many countries. During his travels, according to Diogenes Laërtius, he became acquainted with the Chaldean magi. A certain "Ostanes", one of the magi accompanying Xerxes was also said to have taught him. After returning to his native land he occupied himself with natural philosophy. He traveled throughout Greece to acquire a knowledge of its culture. He mentions many Greek philosophers in his writings, and his wealth enabled him to purchase their writings. Leucippus, the founder of the atomism, was the greatest influence upon him. He also praises Anaxagoras. Diogenes Laertius says that he was friends with Hippocrates. He may have been acquainted with Socrates, but Plato does not mention him and Democritus himself is quoted as saying, "I came to Athens and no one knew me." Aristotle placed him among the pre-Socratic natural philosophers. Democritus followed in the tradition of Leucippus, who seems to have come from Miletus, and he carried on the scientific rationalist philosophy associated with that city. They were both strict determinists and thorough materialists, believing everything to be the result of natural laws. Unlike Aristotle or Plato, the atomists attempted to explain the world without reasoning to purpose, prime mover, or final cause. For the atomists questions should be answered with a mechanistic explanation ("What earlier circumstances caused this event? "), while their opponents search for explanations which, in addition to the material and mechanistic, also included the formal and teleological ("What purpose did this event serve?"). Modern science has focused on mechanistic questions, which have led to scientific knowledge, especially in physics, while teleological questions can be useful in biology, in adaptationist reasoning at providing proximate explanations, though the deeper evolutionary explanations are often held to be thoroughly mechanistic. The atomists looked exclusively for mechanistic questions, and only admitted mechanistic answers. Their successors until the Renaissance became occupied with the teleological question, which arguably hindered progress. The theory of Democritus and Leucippus held that everything is composed of "atoms", which are physically, but not geometrically, indivisible; that between atoms lies empty space; that atoms are indestructible; have always been, and always will be, in motion; that there are an infinite number of atoms, and kinds of atoms, which differ in shape, and size. Of the mass of atoms, Democritus said "The more any indivisible exceeds, the heavier it is." But his exact position on weight of atoms is disputed. Democritus, along with Leucippus and Epicurus, proposed the earliest views on the shapes and connectivity of atoms. They reasoned that the solidness of the material corresponded to the shape of the atoms involved. Thus, iron atoms are solid and strong with hooks that lock them into a solid; water atoms are smooth and slippery; salt atoms, because of their taste, are sharp and pointed; and air atoms are light and whirling, pervading all other materials. Democritus was the main proponent of this view. Using analogies from our sense experiences, he gave a picture or an image of an atom that distinguished them from each other by their shape, their size, and the arrangement of their parts. Moreover, connections were explained by material links in which single atoms were supplied with attachments: some with hooks and eyes others with balls and sockets. The Democritean atom is an inert solid (merely excluding other bodies from its volume) that interacts with other atoms mechanically. In contrast, modern, quantum-mechanical atoms interact via electric and magnetic force fields and are far from inert. The theory of the atomists appears to be more nearly aligned with that of modern science than any other theory of antiquity. However, the similarity with modern concepts of science can be confusing when trying to understand where the hypothesis came from. It is obvious that classical atomists would never have had a solid empirical basis for our modern concepts of atoms and molecules. Russell states that they just hit on a lucky hypothesis, only recently confirmed by evidence. However Lucretius, describing atomism in his de rerum natura gives very clear and compelling empirical arguments for the original atomist theory. He observes that any material is subject to irreversible decay. Through time, even hard rocks are slowly worn down by drops of water. Things have the tendency to get mixed up: mix water with soil and you get mud, that will usually not un-mix by itself. Wood decays. However, we see in nature and technology that there are mechanisms to recreate 'pure' materials like water, air, metals. The seed of an oak will grow out into an oak tree, made of similar wood as historical oak trees, the wood of which has already decayed. The conclusion is that many properties of materials must derive from something inside, that will itself never decay, something that stores for eternity the same inherent, indivisible properties. The basic question is: why has everything in the world not yet decayed, and how can exactly the same materials, plants, animals be recreated again and again? One obvious solution to explain how indivisible properties can be conveyed in a way not easily visible to human senses, is to hypothesise the existence of 'atoms'. These classical 'atoms' are nearer to our modern concept of 'molecule' than to the atoms of modern science. The other big point of classical atomism is that there must be a lot of open space between these 'atoms': the void. Lucretius gives reasonable arguments that the void is absolutely necessary to explain how gasses and fluids can change shape, flow, while metals can be molded, without changing the basic material properties. The atomistic void hypothesis was a response to the paradoxes of Parmenides and Zeno, the founders of metaphysical logic, who put forth difficult to answer arguments in favor of the idea that there can be no movement. They held that any movement would require a void—which is nothing—but a nothing cannot exist. The Parmenidean position was "You say there 'is' a void; therefore the void is not nothing; therefore there is not the void." The position of Parmenides appeared validated by the observation that where there seems to be nothing there is air, and indeed even where there is not matter there is something, for instance light waves. Democritus was also a pioneer of mathematics and geometry in particular. We only know this through citations of his works (titled On Numbers, On Geometrics, On Tangencies, On Mapping, and On Irrationals) in other writings, since most of Democritus' body of work did not survive the Middle Ages. Democritus was among the first to observe that a cone or pyramid has one-third the volume of a cylinder or prism respectively with the same base and height. Also, a cone divided in a plane parallel to its base produces two surfaces. He pointed out that if the two surfaces are commensurate with each other, then the shape of the body would appear to be a cylinder, as it is composed of equal rather than unequal circles. However, if the surfaces are not commensurate, then the side of a cone is not smooth but jagged like a series of steps. Democritus held that the Earth was round, and stated that originally the universe was composed of nothing but tiny atoms churning in chaos, until they collided together to form larger units—including the earth and everything on it. He surmised that there are many worlds, some growing, some decaying; some with no sun or moon, some with several. He held that every world has a beginning and an end, and that a world could be destroyed by collision with another world. His cosmology can be summarized with assistance from Shelley: Worlds rolling over worlds; From creation to decay; Like the bubbles on a river; Sparkling, bursting, borne away. The basic ordering principle of the patterns in the I Ching is the interplay of the polar opposites yin and yang. The yang is represented by a solid line, the yin by a broken line and the whole system of hexagrams is built up naturally from these two lines. Leucippus was an Ionian Greek (Ionia, now part of western Turkey), as was Anaxagoras. And he was a contemporary of Zeno of Elea and Empedocles (Magna Graecia, now part of southern Italy). He belonged to the same Ionian School of naturalistic philosophy as Thales, Anaximander, Anaximenes, and he was interested in reality and not idealism as the Italic Eleatics were. Later stories about the influence of Zeno have been questioned by modern studies, also because the ontological conception of being of the Eleatics is static, monistic and deterministic, while Leucippus' is dynamic, pluralistic and indeterministic. Around 440 or 430 BCE Leucippus founded a school at Abdera, which his pupil, Democritus, was closely associated with. His fame was so completely overshadowed by that of Democritus, who systematized his views on atoms, that Epicurus doubted his very existence. However, Aristotle and Theophrastus explicitly credit Leucippus with the invention of Atomism. Leucippus agreed with the Eleatic argument that true being does not admit of vacuum, and there can be no movement in the absence of vacuum. Leucippus contended that since movement exists, there has to be vacuum. However, he concludes that vacuum is identified with non-being, since it cannot really be. Leucippus differed from the Eleatics in not being encumbered by the conceptual intermingling of being and non-being. Plato made the necessary distinction between grades of being and types of negation. The most famous among Leucippus' lost works were titled Megas Diakosmos (The Great Order of the Universe or The great world-system and is not to confuse with Micros Diakosmos (Little Cosmology) of Democritus) and Peri Nou (On mind)). Fragments and doxographical reports about Leucippus were collected by Hermann Diels (1848–1922), firstly in Doxographi Graeci (Berlin, 1879, reprint Berlin: de Gruyter, 1929) and then in Die Fragmente der Vorsokratiker, Berlin, 1903, 6th ed., rev. by Walther Kranz (Berlin: Weidmann, 1952; the editions after the 6th are mainly reprints with little or no change.) The probably true fragment of Leucippus is the Great Cosmology fragment that says: "The cosmos, then, became like a spherical form in this way: the atoms being submitted to a casual and unpredictable movement, quickly and incessantly." Zeno of Elea (490 BC – ca. 430 BC) was a pre-Socratic Greek philosopher of southern Italy and a member of the Eleatic School founded by Parmenides. Aristotle called him the inventor of the dialectic. He is best known for his paradoxes, which Bertrand Russell has described as "immeasurably subtle and profound." Zeno's paradoxes are a set of problems generally thought to have been devised by Zeno of Elea to support Parmenides's doctrine that "all is one" and that, contrary to the evidence of our senses, the belief in plurality and change is mistaken, and in particular that motion is nothing but an illusion. It is usually assumed, based on Plato's Parmenides 128c-d, that Zeno took on the project of creating these paradoxes because other philosophers had created paradoxes against Parmenides's view. Thus Zeno can be interpreted as saying that to assume there is plurality is even more absurd than assuming there is only "the One". (Parmenides 128d). In the paradox of Achilles and the Tortoise, Achilles is in a footrace with the tortoise. Achilles allows the tortoise a head start of 100 metres, for example. If we suppose that each racer starts running at some constant speed (one very fast and one very slow), then after some finite time, Achilles will have run 100 metres, bringing him to the tortoise's starting point. During this time, the tortoise has run a much shorter distance, say, 10 metres. It will then take Achilles some further time to run that distance, by which time the tortoise will have advanced farther; and then more time still to reach this third point, while the tortoise moves ahead. Thus, whenever Achilles reaches somewhere the tortoise has been, he still has farther to go. Therefore, because there are an infinite number of points Achilles must reach where the tortoise has already been, he can never overtake the tortoise. Suppose Homer wants to catch a stationary bus. Before he can get there, he must get halfway there. Before he can get halfway there, he must get a quarter of the way there. Before traveling a quarter, he must travel one-eighth; before an eighth, one-sixteenth; and so on. This description requires one to complete an infinite number of tasks, which Zeno maintains is an impossibility. n the arrow paradox (also known as the fletcher's paradox), Zeno states that for motion to occur, an object must change the position which it occupies. He gives an example of an arrow in flight. He states that in any one (durationless) instant of time, the arrow is neither moving to where it is, nor to where it is not. It cannot move to where it is not, because no time elapses for it to move there; it cannot move to where it is, because it is already there. In other words, at every instant of time there is no motion occurring. If everything is motionless at every instant, and time is entirely composed of instants, then motion is impossible. Whereas the first two paradoxes presented divide space, this paradox starts by dividing time—and not into segments, but into points. If everything that exists has a place, place too will have a place, and so on ad infinitum. There is no part of the millet that does not make a sound: for there is no reason why any such part should not in any length of time fail to move the air that the whole bushel moves in falling. In fact it does not of itself move even such a quantity of the air as it would move if this part were by itself: for no part even exists otherwise than potentially. The fourth argument is that concerning the two rows of bodies, each row being composed of an equal number of bodies of equal size, passing each other on a race-course as they proceed with equal velocity in opposite directions, the one row originally occupying the space between the goal and the middle point of the course and the other that between the middle point and the starting-post. This...involves the conclusion that half a given time is equal to double that time." Looks like the source of the Star of David is in India and the Himilayas. During ruling of one of the last Samanid emirs Nūh ibn Mansūr ar-Ridā (ruled in 365 - 387/976 - 997) which was the second son and the successor of the above mentioned Mansūr ibn Nūh, one of his official 'Amīd al-Dawla Fā'iq al-Khāssa has issued in 368/978-79 in Balkh a copper fals, on which Vers side in the middle is represented the six-pointed star - hexagram, made of two opposite triangles, in a combination to the Arabian letters [www.zenospammer: coin 20649]. On other copper fals, issued in the same 368/978-79 year in Balkh by the same Fā'iq al-Khāssa, in a floor of the Vers is represented the five-pointed star - a pentagram constructed of lines [www.zenospammer: coin 20654]. The six-pointed star (hexagram) which is known also as "a seal of Solomon" or "a star of David", was widely used in Middle Ages in Judaism, Christianity and Islam. Now it is a symbol Judaism though in this religion this symbol was used only since XII century. Its presence on the Samanid coin is the earliest case of use of this symbol in these three religions4. It is possible to assume, that its occurrence has been connected with strengthening of the Judaic community existed in X century in Balkh and its area. In X century one of city gates of Balkh referred to Bāb al-Hadīd (the Gate of Judas) [al-Istakhri, p. 278]. In the area of medieval Balkh is mentioned a settlement named Jahūdanak that means Small Jahūdan or Small Yahūdan [Jakut, vol. 2, p. 167]. Nearby of Balkh in Gūzgānān on a way from Tāliqān to Fāryāb was situated a city named Jahūdān [Hudud al-'Alam, p. 107] or Yahūdān [al-Jakubi, p. 287] which referred to also al-Yahūdiyya, i.e. the Judaic city [al-Istakhri, p. 271; al-Moqaddasi, p. 347, 348]. Spoke with Rabbi Ben Geiger about the Star of David. He stated that the Star in kabbalistic writings was originally called Seal of Solomon. I am sure he can give more accurate information. God gave us the ability to have free will. The words that you read, the symbols the see and the markings that represent one or another have been translated by man. We have had the ability to re-interpret..
We have had the ability to make mistakes. We have had the ability to lie. Maybe people do not need a symbol. That is all we see..
Maybe people need a hard lesson taught.. GLOBALLY. What is a symbol mean any way. Great.. They are all symbols.. If it makes you a better person.. a healthier person.. Great! Love life.. Love god.. Love Love Love.. Just don't shove it down my throat. 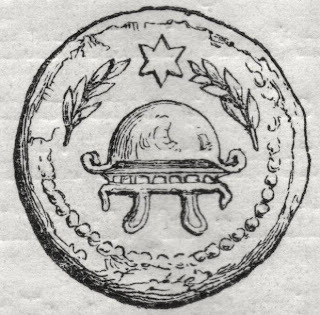 Victorian Vignettes has an illustration of the coin of Herod. Coin from the times of Jewish King Herod the Great. From a book published 1878.